The Navilight dual kit is the ready-to-go solution whenever it is needed to exhibit an all-around white light and sidelights. 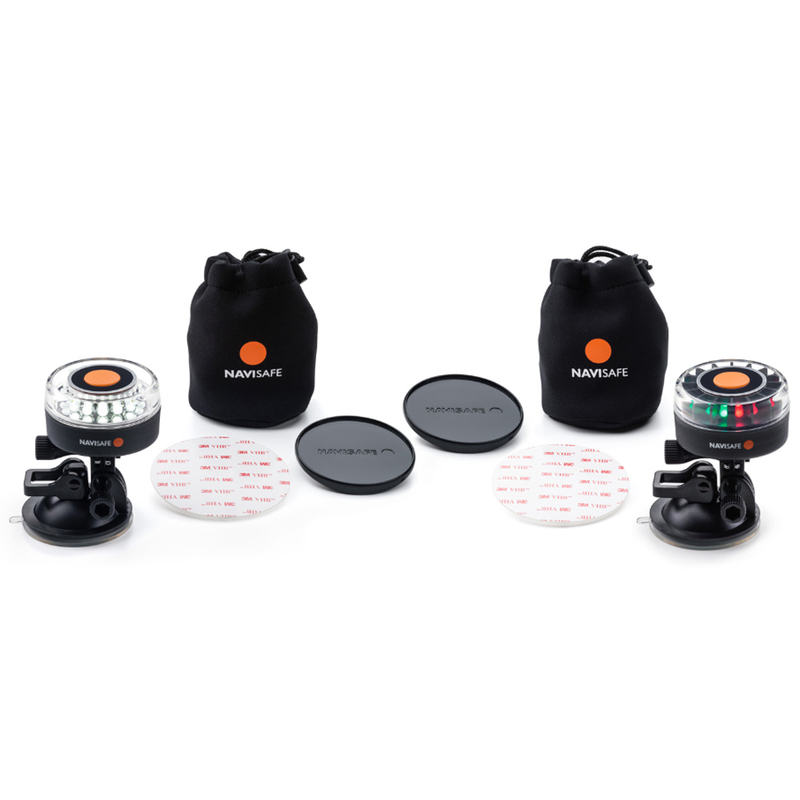 The all-around white light as well as the Tricolor light are equipped with a dual function suction mount - holding either the Navilights, a GoPror/Action camera or any other accessory utilizing the mounting bracket. Contains the lights and mountings needed to equip most boats up to 12m with Navigation lights in compliance with 72 COLREGs - if the boats infrastructure allows, that the Masthead light can be positioned at least 1 m (3.3 ft) above the sidelights.